Sam’s Congee Delight (aka Wong Sam Kee) is 1 of my favourite congee places in Toronto. 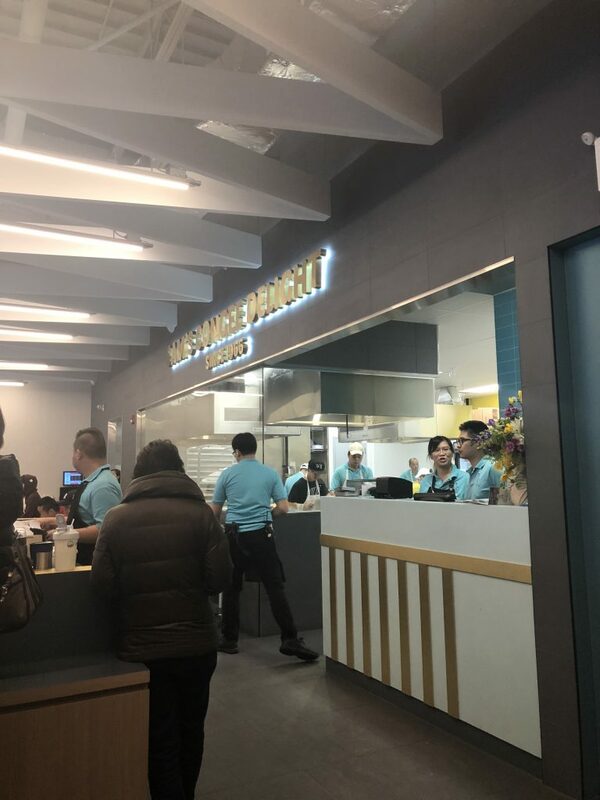 Many of you may remembered them as the congee place located inside Market Village, with a staff or two cramping at the front of the restaurant’s window preparing fresh rice rolls or freshly fried rice sticks. 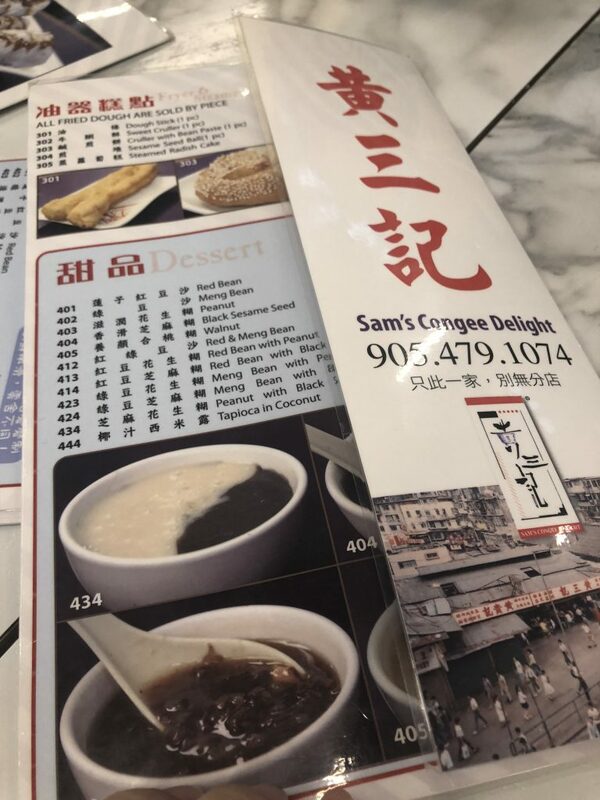 Since Market Village is closed down to reuse the land to build new condo, Sam’s Congee is now located at 7354 Woodbine Avenue at the intersection between Woodbine and Dension. Lineup is still more crazyly long but table turnover rate is quick, so you still get a table pretty quickly, I would say within 20-25 minutes. Food quality, in my opinion is still pretty good and consistent and food items are pretty much intact, serving the same food items from the Market Village days. 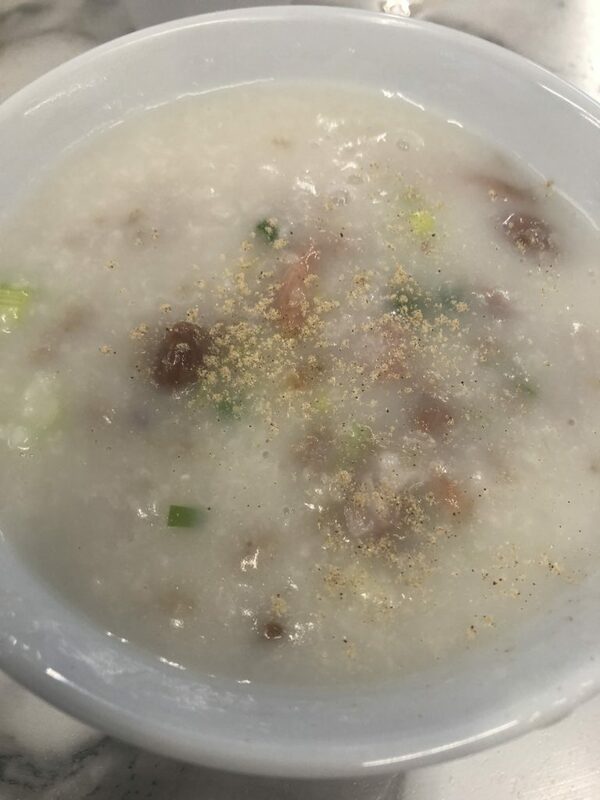 However, prices of the same items went up slightly with the price on the congee went up the most (ranging from $6.00 to $7.50). However, you can’t really blame them coz the food cost has gone up, a new location rent possibly went up and the Kathleen Wynne minimum wage increase doesn’t help either, at the end, customers will suffer and pay for it. Anyhow, that’s a talk for another day. I am ok with the price increases as long as the food quality is there and I still think overall, the food quality is still there. I think 1 of the elements that would never be the same is the decor and the vibe and atmosphere. In the Market Village days, I luv standing outside the window looking at the chef’s preparing fresh rice rolls and fried sticks. 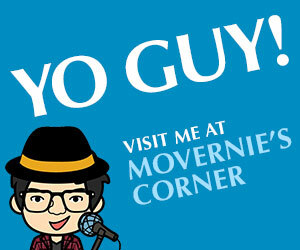 I like how cozy or cramp the small space is, that’s how Hong Kong is when you go to the congee places. But with the new location, everything is just modern and spacious, it doesn’t duplicate as much Hong Kong style as before. Anyhow, you can’t please everyone and the new place is bigger, so more table to serve you. I was impressed how big the waiting area is, but they go to coz you can’t have customers standing outside in the cold when it’s freezing outside. I still highly recommend anyone to try the congee here. Every congee is good. And I luv its unique combination of ingredients. 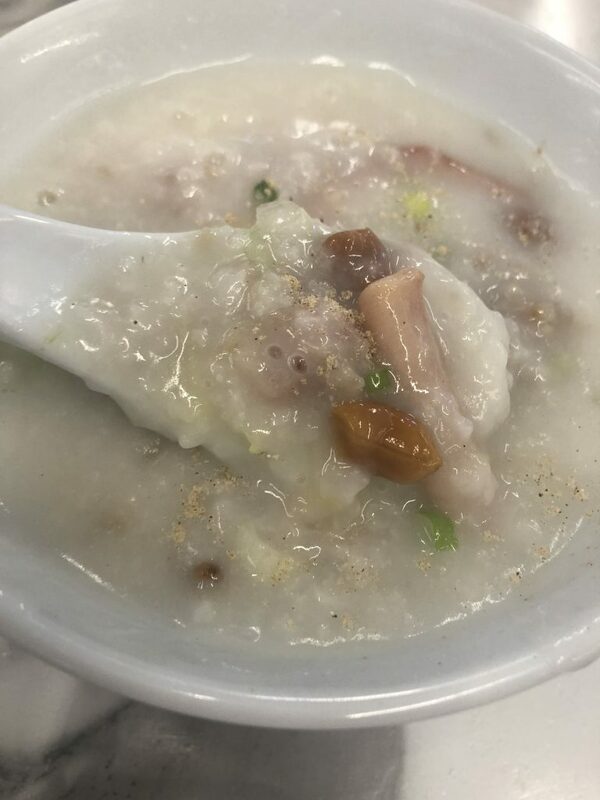 Personally, I luv the assorted congee (aka Boat Son Congee) which consists of bouncy squid, pork skin and its signature minced beef, it’s so good! Stir fried noodles at $3.50 CDN is still a good steal. It’s not a big plate but it’s a perfect size. Bean sprouts that wasn’t overcooked but crunchy is what’s make this stir fry noodles so good here at Sam’s Congee Delight!